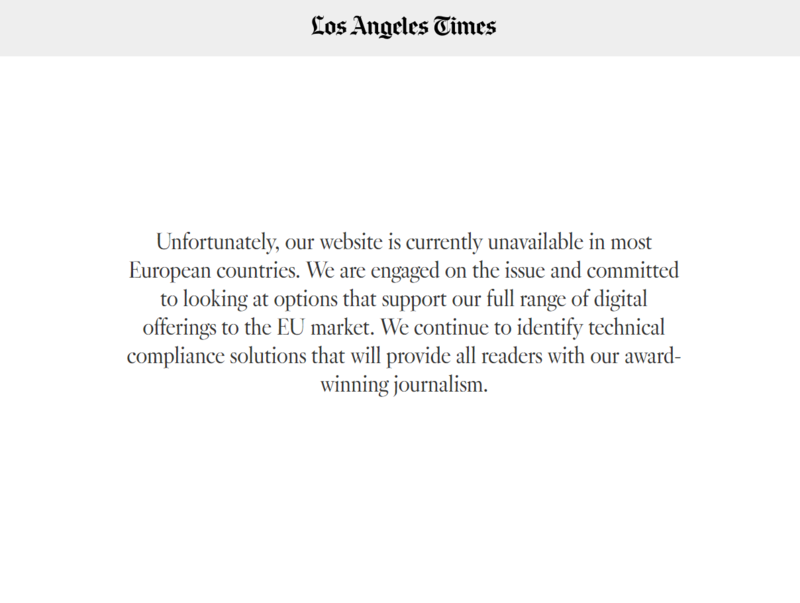 A number of US news websites, including the Los Angeles Times, New York Daily News and Chicago Tribune, are currently unavailable for UK readers today as new data protection laws are brought into force. 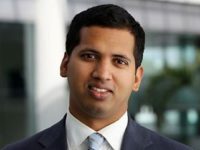 UK businesses had until midnight last night to comply with the General Data Protection Regulation, which creates one set of data protection rules for all companies operating within the European Union. The websites are all owned by US news publisher Tronc, previously Tribune Publishing. 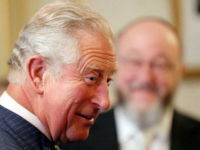 The company also publishes the Baltimore Sun, Orlando Sentinel, the Sun-Sentinel in South Florida, Daily Press in Virginia, the Morning Call in Pennsylvania, and Hartford Courant in Connecticut. The new GDPR regulation has been designed to give internet users more say over who uses their personal data. Under the new law, businesses will now have to prove they have consent to use personal information. 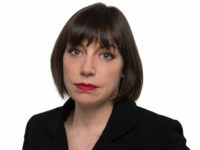 Companies that export and handle the personal data of EU citizens, including US-based news publishers, must be GDPR compliant or face heavy fines of up to €20m (or 4 per cent of the company’s annual global turnover – whichever is higher). 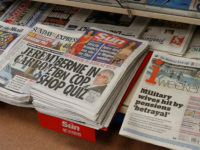 Tronc’s local news titles are also inaccessible to UK readers, including the Baltimore Sun, Orlando Sentinel, the Sun-Sentinel in South Florida, Daily Press in Virginia, the Morning Call in Pennsylvania, and Hartford Courant in Connecticut. Readers who visit the Tronc websites are shown a white page with the message: “Unfortunately, our website is currently unavailable in most European countries. 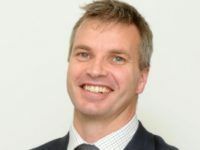 “We are engaged on the issue and committed to looking at options that support our full range of digital offerings to the EU market. Other US news websites, including the Washington Post, now ask readers to agree to their data use policy before they are able to access the site. 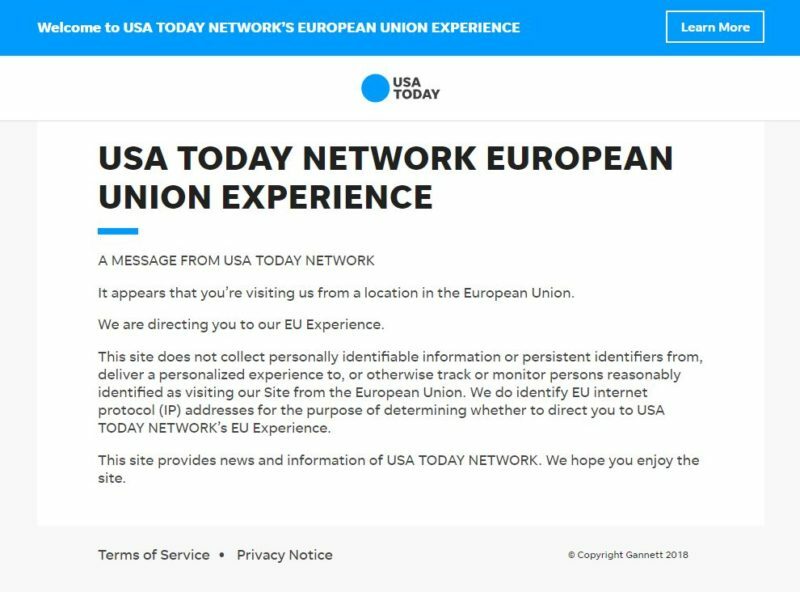 USA Today has created a new “European Union experience” where EU readers are directed so it “does not collect personally identifiable information” about them or otherwise track or monitor them. GDPR is really just designed specifically to attack the US tech giants. I’m disgusted that, unfortunately, I live in an area, much like China, that wishes to restrict individual freedom and restrict what you can read and say. I live in the UK and leaving the EU cannot come quickly enough.